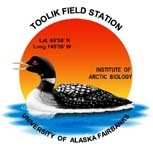 » Carbon and nitrogen isotopes and concentrations in terrestrial plants from a six-year (2006-2012) fertilization experiment at the Arctic LTER, Toolik Field Station, Alaska. The data set describes stable carbon and nitrogen isotopes and carbon and nitrogen concentrations from an August 2012 pluck of a fertilization experiment begun in 2006. Fertilization was with nitrogen (N) and phosphorus (P). Fertilization levels included control, F2, F5, and F10, with F2 corresponding to yearly additions of 2 g/m2 N and 1 g/m2 P, F5 corresponding to yearly additions of 5 g/m2 N and 2.5 g/m2 P, and F10 corresponding to yearly additions of 10 g/m2 N and 5 g/m2 P. After harvest, plants were separated by species and then by tissue. Tissues were then dried, ground and analyzed for stable isotopes and concentrations at the University of New Hampshire stable isotope laboratory. In August 2012, plant and soil samples were collected from control and N+P plots from within a set of treatments in Moist Acidic Tundra plots established in 2006. See experimental design section below. At harvest, turf samples approximately 20 cm x 20 cm were harvested to the depth of the mineral soil. The samples were then taken to the lab and all plants were then collected by hand and grouped by species and tissue. See Shaver, G.R. and F.S. Chapin, III. 1991. Roots were similarly collected by soil horizon, although without for the most part species-level taxonomic resolution. Samples were then dried and ground. A subset of these samples were then sent to the University of New Hampshire stable isotope lab, where they were analyzed for carbon and nitrogen concentrations and stable isotope ratios using a Delta-Plus Thermo isotope ratio mass spectrometer. Isotopic and elemental concentrations were referenced against concurrently run standards of pine needles (NIST 1575a), apple leaves (NIST 1515), and two internal lab standards, ground tuna and ground mushrooms. The 1996 LTER moist acidic tussock (96LMAT) site was set up in 1996. The experimental design is four blocks of 5 x 20 meter plots with randomly assigned treatments within each block. Each plot is separated by a 2 meter walkway. Treatments include a gradient of fertilization of N and P additions: 0.5, 1, 2, 5, or 10 g N per meter with P being half of the N amount added and plots of nitrate or ammonium alone at 5gN/m2 and 2.5 g/m2 of P. An additional set of plots were set aside upon establishment for future experiments, and are noted as H.
Shaver, G.R. and F.S. Chapin, III. 1991. Production/biomass relationships and element cycling in contrasting arctic vegetation types. Ecological Monographs 61:1-31. Data and metadata entered and updated E. Hobbie March 2017, uploaded JL 30Mar17. Definition: Control, no fertilization; F2, fertilization with 2 g N/m2/year and 1 g P/m2/year; F5, fertilization with 5 g N/m2/year and 2.5 g P/m2/year; fertilization with 10 g N/m2/year and 5 g P/m2/year. Definition: Harvest weight of that tissue x species x block.